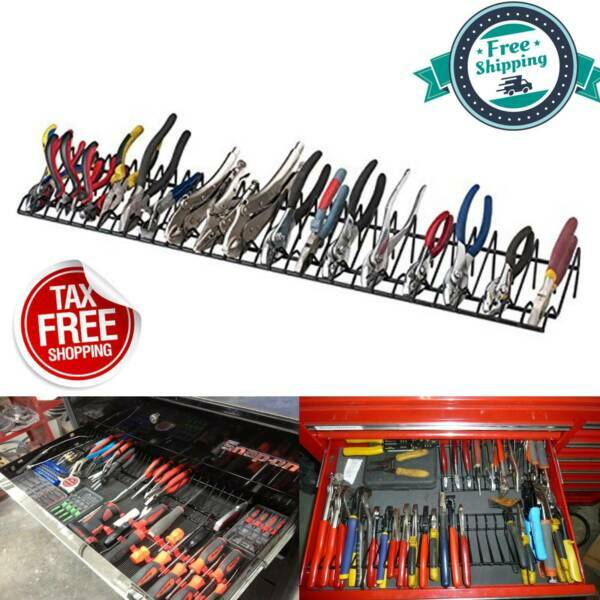 The Pliers Rack is 30 inches long and holds 32 pliers in a drawer that is only 2 1/2 inches deep. By placing the rack at the rear of the drawer your pliers will stay in place when you shut the drawer. You may also place the rack along the side of the drawer. The rack has 10 extra wide spaces for insulated handles. The rack is made of 3mm steel wire and coated with vinyl to last a lifetime. 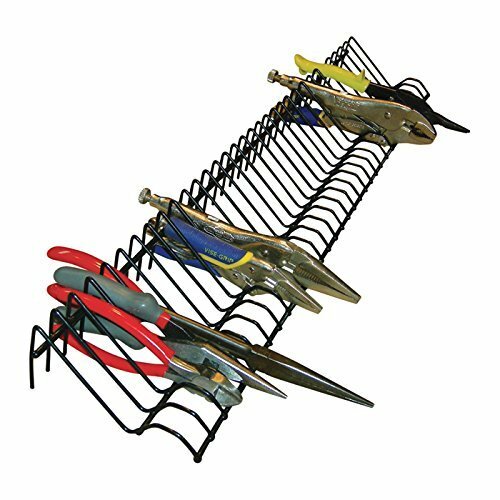 The Pliers Rack can be cut to fit smaller drawers. Can splice two together for larger drawers. Removal and insertion is easy, just pick the pliers up and they slide right back into place. Holds 32 pliers. Dimensions 30" W x 2 1/2" H.
We welcome your positive feedback and will return the favor by leaving positive feedback for you! If we have not met your expectations, please allow us the opportunity to make it right and contact us before leaving neutral or negative feedback. We will make sure to resolve your issue quickly. Customer satisfaction is our top priority!We promise we can make you happy if you give us a fair chance. Thanks!